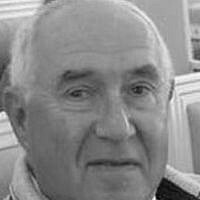 Pinchos Fridberg was born in Vilna (then Wilno, Poland, now Vilnius, Lithuania) on May 24th 1938. He graduated from Vilnius University in 1961 and completed his PhD in theoretical and mathematical physics in 1965 and an additional doctoral science degree in radio physics in 1974. From 1961 to 1978, he was Chair of the Laboratory of Theoretical Investigations at the Vilnius Scientific Institute of Radio Measuring Devices. In 1978, he joined Grodno State University, where he was named professor. In 1989 he became head of the Department of Theoretical Radio Physics at the Zondas Company in Vilnius, where he is now a pensioner.